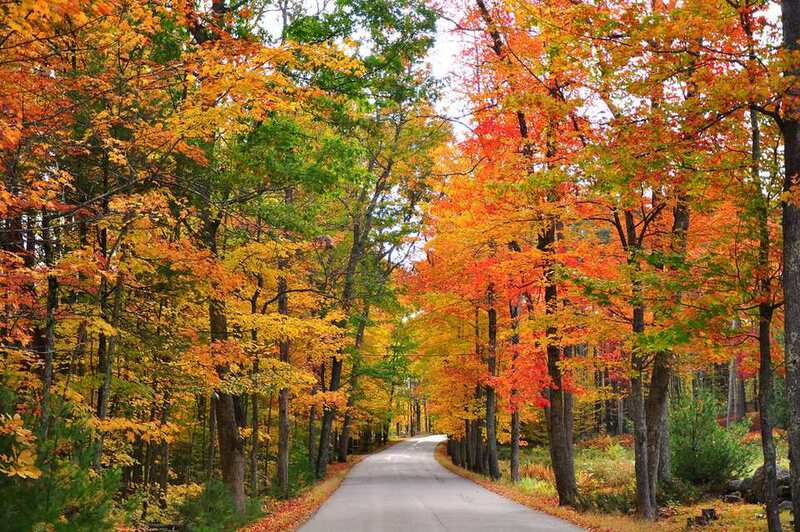 Which apps are on your New England Expert's iPhone as she hits the road this fall foliage season? Well, I'm a frugal Yankee, of course, so you can be sure that if I'm going to download and field test a fall foliage app, it's going to be free! I'm also a photography addict and a fan of anything that allows me to capture New England's fall splendor creatively. And my 10-year-old daughter and I are embarking on our first "Girls Gone Leaf Peeping" getaway, so I've made sure to load my phone with apps to entertain us during down times; like while we're waiting in line for cider donuts. If you've discovered a cool fall foliage app I've missed, please use this form to share your suggestion with me. Yankee magazine's free fall foliage app relies on the generosity and good eyes of "Peeps" app users who supply foliage reports and photos from the field. Take a picture with your phone, use a slider to indicate where leaves are on the spectrum from Green to Gone, add a description of what you see, and "Peep it!" The input is aggregated on a color-coded map of New England, so users can see at a glance what conditions are being reported throughout the New England states. Zoom in on the map, touch a specific location, and you'll see the latest images and reports. Cool, eh? My daughter was easily able to add her first report from our backyard, and it appeared in minutes. Keep in mind that, as with all crowd-sourced data, accuracy may be a bit lacking. A check of Windham County, Vermont, for example, shows one user reporting leaves are at "moderate," another saying they're still "green" two days later and a third reporting "peak" conditions two days after that! Still, an impressive number of "Peeps" are contributing, and it's fun to see real-time reports and images from all over New England as the season progresses. Bright minds are behind Leafsnap, a leaf identification app developed by researchers from Columbia University, the University of Maryland and the Smithsonian Institution. As someone who has collected and pressed leaves for years and who even mails them free to folks who miss New England in the fall, I love the idea of a simple app that allows me to snap a photo of a leaf and learn not only which tree it's fallen from but rich detail about its mother tree. In my first experiments with the Leafsnap app, I've found it intuitive to use and fairly accurate. But the finicky requirement that leaves be photographed against a solid white background makes this electronic field guide tricky to use while I'm out hiking in the autumn woods. My solution thus far: carry a white napkin along on my treks. If you're really into trees, download TreeID, too. It's not as snazzy or user-friendly as Leafsnap, but if you know your palmate from your pinnate leaves, it'll provide additional insights and even has a photo-filled guide to how trees turn colors during fall foliage season. Trover allows travelers to share artistic, quirky and scenic places they stumble upon. To contribute, you simply snap a picture with your iPhone's camera and upload it; geographic information is automatically attached to the image. Then, when another traveler is in the vicinity, your discovery will pop up as a neat, nearby thing to see or do. Search Trover for "Kim Knox Beckius," and you can see the oddities I've found in my New England travels, including a giant beaver and an actual fork in the road! Many Trover users add picturesque spots, which makes the app particularly helpful for shutterbugs aiming to capture interesting fall scenes. I've always embraced new technologies. Heck--I've been producing this Web site since 1998, when the Internet was an infant and my dial-up connection was slower than slow. But I can't be the only traveler who still likes to send real glossy postcards in the good ol' U.S. mail, especially to surprise older relatives and friends afar. When you snap vivid foliage photos this fall, don't settle for simply posting them on Facebook, where they'll fade off the page—and into oblivion—faster than the leaves fall from trees. The Postagram app makes it simple to transform images that live in your phone's Photo Library—or on Instagram, Facebook or in Dropbox—into genuine postcards that arrive in the mail in about a week. Add your message and a recipient's address, and your postcard will be on its way. No, you can't add your personal signature and doodles, but you'll still make someone's day. I'm also keeping an eye on the ByPost app, which provides a similar service. The postcards they offer are even more customizable, plus they're two-sided.